Burma’s military junta is carrying out a policy of “Burmanization” in areas under its control, using land confiscation and intermarriage, sometimes by force, to dilute ethnic identities, according to a new report by three exiled ethnic groups released on Tuesday. “As a greater number of troops are deployed in the border regions populated by the ethnic minorities, many soldiers move their families onto land confiscated from local villagers or are encouraged to marry local women,” said the report. In some cases, the report claims, ethnic women are pressured to marry soldiers as a means of escaping destitution. Titled “Holding Our Ground: Land Confiscation in Arakan & Mon States, and Pa-O Area of Southern Shan State,” the report was co-written by the Thailand-based All Arakan Students’ & Youths’ Congress (AASYC), the Pa-O Youth Organization (PYO) and the Mon Youth Progressive Organization (MYPO). Such measures are part of the junta’s ongoing efforts to dilute the culture of ethnic minorities and spread the influence of the majority Burman race, the report stated. The three ethnic groups also pointed out how military installations in Burma affect land confiscation in their areas. “As long as the expansion of the military in ethnic states of Burma continues, land will be forcibly confiscated with little or no compensation being given to the owners,” they said in the report. According to the report, land seized by the army is used both for military purposes and for state-run projects such as farms and other businesses operated by military personnel. The report claimed that the military has seized more than 7,600 acres of land in Mon State since 1998 and more than 1,100 acres in Arakan State in the past five years. The report did not include the situation in Arakan State’s Maungdaw, Buthidaung and Rathedaung townships, which are predominantly inhabited by members of the Rohingya Muslim minority group. Aung Marm Oo of the Arakan group, the AASYC, one of the co-authors of the report, said he did not include the Rohingya areas because it is a “sensitive” issue. 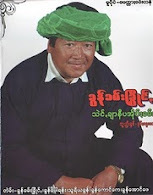 The Irrawaddy could not verify the facts and claims in the report with independent sources. However, a Shan independent researcher on development in Kachin State and northern Shan State recently said that ethnic language schools were allowed in areas controlled by the ceasefire groups, the Kachin Independence Organization and the Shan State Army- North.